This is the Moon, but not as we know it. NASA's new topographic map of the Moon lets us Earth-bound critters get a better sense of the Moon's features. The impressive map, which was created in-part by a team of astronomers from Arizona State University, uses data from the Lunar Reconnaissance Orbiter (LRO) spacecraft. It's said to be the highest-resolution, near-global topographic image of our lunar satellite to ever exist. NASA's LRO spacecraft began its mission in 2009, and has since provided researchers with over 192 terabytes of data--some of which went toward creating this map. There is room for improvement, of course: NASA pointed out that it will be add in more detail over time to enhance the sharpness of the image, and to fill in any small gaps that exist in the current offering. The map, dubbed the 'Global Lunar DTM 100 m topographic model' (GLD100) highlights the topography of our neighboring rock at a scale close to 328 feet (100 meters) per pixel. 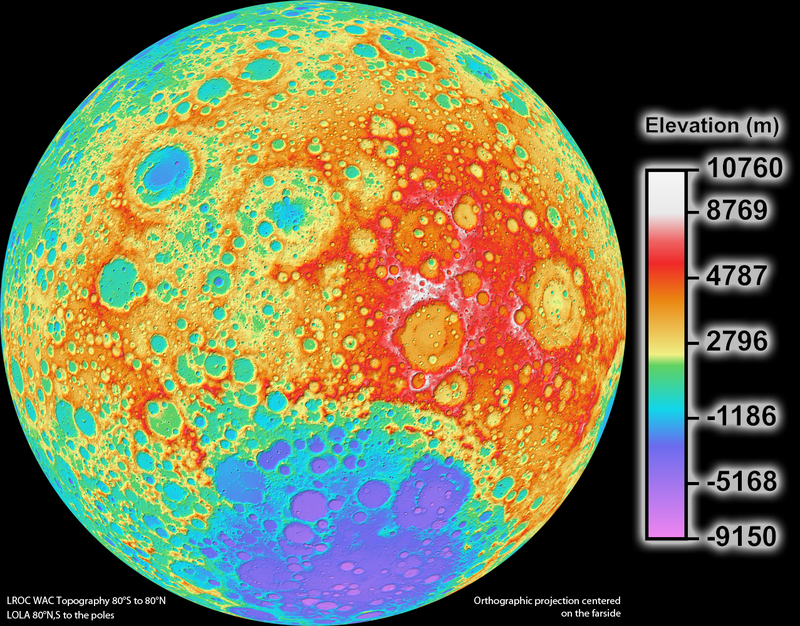 The white areas on the map represent the highest points of the Moon's surface, whereas the blue and purple areas mark the lowest, deepest points. Mark Robinson, the Principal Investigator of the Lunar Reconnaissance Orbiter Camera (LROC) at the Arizona State University said the GLD100 map provides "the dataset that lunar scientists have waited for since the Apollo era". 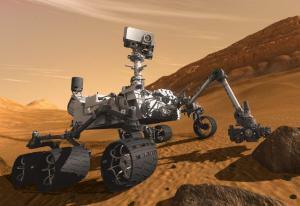 Visit NASA's site to check out the full-resolution version of the map.